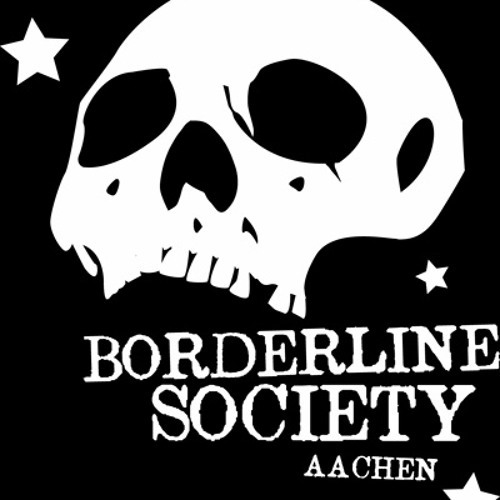 http://borderline-society.com Streetpunk from Aachen, Germany. "I. YOU. THEY. WE. BORDERLINE SOCIETY!" This pretty much sums up the band's state of mind. We're all part of a fucked up society without a chance to esacpe but that doesn't mean, that you have to like it. Inspired by punk greats like Social Distortion, Ramones but also Johnny Cash, Borderline Society are committed to punkrock - with an attitude! Their songs twist and turn between gloomy fatalitism ("Finally 1984"), self-ironic fool stories ("Mistake No.1") and moral-busting hymns for those, who are as deranged as the band itself ("Mid dlefinger Reggae" , "We're still around"). As there is more than one side to a borderline pers on, the band name is not only reffering to the disease but also a wink to their hometown Aachen, t he most western town of Germany. Talking about growing up with borders.